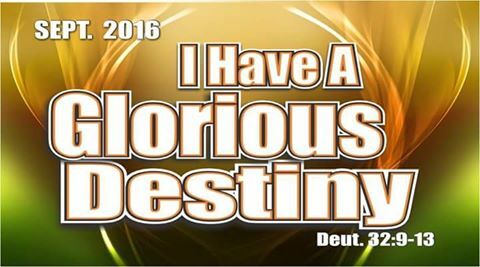 From Glory to Glory greetings in Jesus' name. I believe every one of us must have had definite encounters with the Holy Ghost in the course of the month of August 2016, and because whatever God does shall be forever, may our diverse encounters and experiences remain with us forever. Amen. But what is God saying concerning this new month of September? ☑ Abraham, who was guided to where his breakthrough was waiting. ☑ Elijah was led to where he was being fed by ravens at the brook called Cherith. ☑ He was further guided to the widow of Zarephath, where the widow and her household enjoyed supernatural supplies all through the remaining days of the famine. Furthermore, when we follow the leading of the Spirit, we cannot be stranded in any area of our life.